CarTakeBack designed the Hyundai Scrappage Package, making it easy for Hyundai dealerships across the UK to dispose of cars traded in through the scrappage scheme, whilst delivering excellent value. It's easy to log in to the Hyundai scrappage scheme dealer portal by using your username and password. If you don't have your username and password, or just need a reminder, please get in touch with us. CarTakeBack's Hyundai scrappage scheme dealer portal gives you access to our instant quote system. Giving you the best scrap car price depending on the make, model and weight of the car and its location, so you'll always get the best value for every car scrapped. To get an instant scrappage quote, simply enter the car registration and postcode from where you'd like the car to be collected. To discuss fixed pricing arrangements, please don't hesitate to contact us. You can choose to have scrap cars collected from your dealership, or from the customer's preferred address, such as their home or work. With cars collected within 72 hours you won't have scrap cars cluttering your dealership forecourt. CarTakeBack makes sure you get that all important DVLA Certificate of Destruction for all cars scrapped through the Hyundai scrappage scheme - a promise which is backed up by our £1,500 guarantee. The Certificate will be issued within 24 hours and emailed to you. Plus we store each DVLA Certificate of Destruction securely online, for your future audits. Payments are made promptly upon receipt of your invoice, straight into your bank account by electronic transfer. All vehicles recycled with CarTakeBack under the Hyundai scrappage scheme are treated in an environmentally friendly manner, all hazardous materials such as tyres, batteries and oils are disposed of responsibly. CarTakeBack ensures that a massive 95% of every car is recycled in accordance with the targets in the government's End of Life Vehicle regulations. 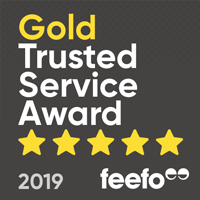 Our knowledgeable customer services team (highly rated on Feefo - the independent review site) is on hand to help you with any questions you have throughout the process, from helping you access your dealer portal, arranging for scrap cars to be collected, through to transferring payment and sending you that vital Certificate of Destruction. CarTakeBack is proud to have been the approved scrap car recycling partner for many vehicle manufacturers since the inception of the End of Life Vehicle regulations by the government in 2005. To date we've prevented over 600,000 tonnes of materials from scrap cars going into landfill! The Hyundai Scrappage Package from CarTakeBack. We make managing car scrappage easy, arrange for cars to be collected from dealerships or from customer's homes. Certificates of Destruction issued for every car scrapped.